Struggling for resources. Racing against time. Battling what can seem like insurmountable odds. These are the struggles people face in the world of AMC’s The Walking Dead. Oddly enough, they are also the struggles that businesses around the world face each and every day. In the “Inside the Walking Dead: Walker University” special, executive producers and directors gave fans an unprecedented behind-the-scenes look at how The Walking Dead is produced. In it, between the explosions, samurai swords, and zombies, there are three valuable lessons that anyone in business—whether working at an architectural firm or in product manufacturing—can put to good use. 1. Tier Your Talent. Regardless of the industry you are in, acquiring the necessary talent to grow your business can be a life and death struggle. Imagine how difficult that struggle can be when you are searching for the caliber of actors and other resources needed to create The Walking Dead! 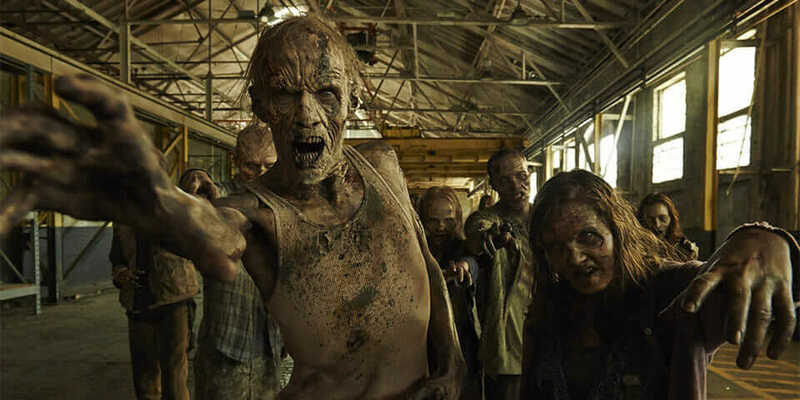 Rather than casting these actors per episode, the team holds mass auditions that involve “zombie training.” That way, the crew can evaluate the undead acting abilities of each actor. 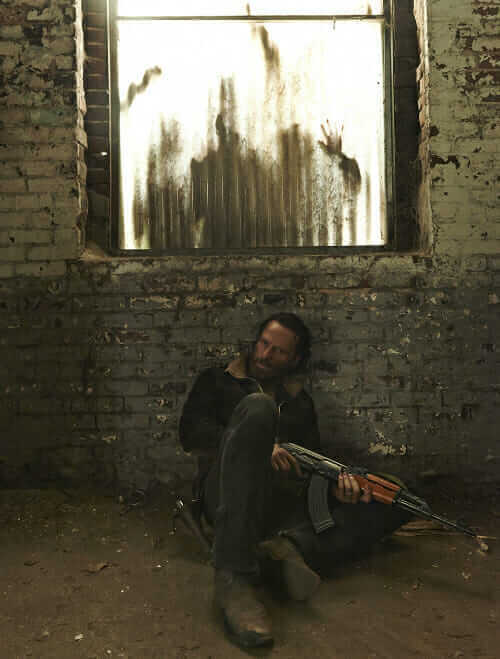 Actors are then categorized as being appropriate for “background zombies” or “mid-shot walkers.” A few lucky actors display such an afterlife aptitude that they are chosen as “hero walkers.” They will receive the most makeup attention and camera time. So how does this help those in non-zombie-related industries? Take the time to assess the capabilities of your current production talent. Then assign them to the areas of production where they can have the greatest impact. The least experienced members of your staff should be handling the greatest amount of front-end, non-specialized work. Your moderately experienced staff, which should comprise the bulk of your team, should be handling the lion’s share of production effort. They will take the results produced by your first tier and transform that into a nearly finished product. Lastly, the most experienced staff members should be overseeing the quality of the production, reviewing final production for details and taking on your most specialized “hero” projects. These are the people you spend the most resources on because they produce the most creative, profitable, or project-winning products you have! Quick Tip: Put your least experienced staff on the front line to hack through the waves of menacing tasks as your own horde of projects bears down on you. 2. Stockpile Assets. The special-effects teams of The Walking Dead have discovered that they must stockpile the assets needed to turn actors into the shambling undead. That includes bins of latex appliances and other supplies used to change the shape of an actor’s face. Whatever the script calls for, the crew is sure that it will be on hand, so the work never slows down. Your firm’s production schedule is no less important or hectic. In fact, your schedule probably does not allow a “mid-season break” to catch your breath. You must stockpile the necessary assets to ensure the smooth progress of your production. Assets such as contract-form templates, standardized details for CAD drawings, and stock photography of previously completed projects are all prime candidates. These items should be collected from their current locations, relocated to a central depository, and categorized such that they are easily found when needed. And monitoring your stockpiles is an important part of your regular production process. It ensures that any assets that can be depleted are replenished before they run out. Digital-information assets also need regular auditing to keep them current and with the most up-to-date standards. Quick Tip: Arm your more experienced staff with the tools they need to create the office, print, and software materials of your production. Remember to regularly check your stockpiles to ensure you’re prepared for any production standoff. 3. Document Your Process. Imagine the massive logistics involved in hiring, clothing, and feeding these actors while keeping the artistic process on a stringent schedule! Yet, executive producer and special effects makeup designer Greg Nicotero and his team do it over and over. They have honed their craft to a level of “production” that would make Henry Ford proud—even if it might be a shambling corpse. Nicotero has adopted a markedly “non-artistic” approach in order to remove as many obstacles from the zombie-creation process as possible by cataloging the most common makeup styles used on The Walking Dead. This “zombie catalog” (e.g., Zombie No. 8 versus, say, Zombie No. 22) is a visual collection of zombies that enables directors to quickly identify the look they want on set and also codify the steps needed to create these artful, undead appearances. 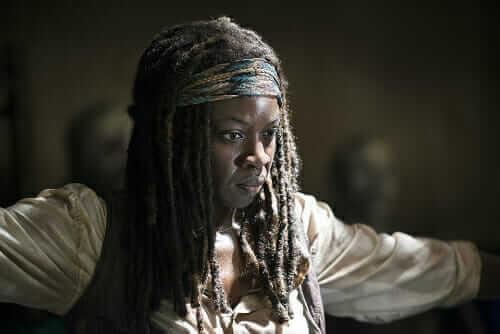 By documenting the repeated processes employed by the makeup crew of The Walking Dead, Nicotero is saving a ton of time. And that time can be used to give even greater attention and detail to his “hero walkers,” who are the centerpieces for the show’s massive success. By taking on the challenge of documenting your own most common processes, you will be casting a mold. Yes, it will take time and yes, that time is largely an overhead expense. But look at it as a big investment in the future profits of your company. Properly documented and deployed processes do not hamper creativity. Rather, they are force multipliers with which you and your team, like Nicotero and his artists, will create time where there was none before. If “time is money” in today’s business world, who could not benefit from more time? Quick Tip: Use your internal documentation as a force-multiplier that will give your staff the firepower they need to blow through otherwise time-consuming tasks. Then you can free up time for your “heroes” to spend more energy on special tasks that could save the day. Putting a Nail in the Coffin. 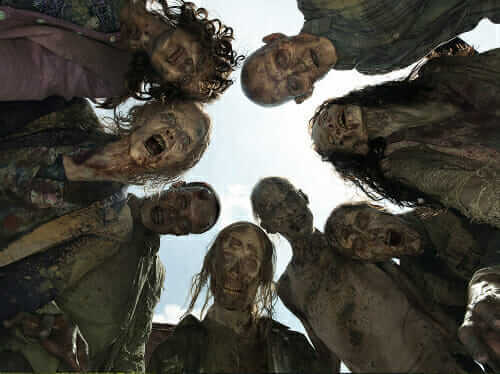 Secrets revealed in “Inside the Walking Dead: Walker University” do hold a special power when used in concert. Employing these techniques could be the key your company needs to break through creative barriers you may be experiencing and push ahead to the success you deserve. After all, in business, any encounter with an onslaught of shambling, life-threatening issues might as well be a zombie encounter. It could very well be your last!